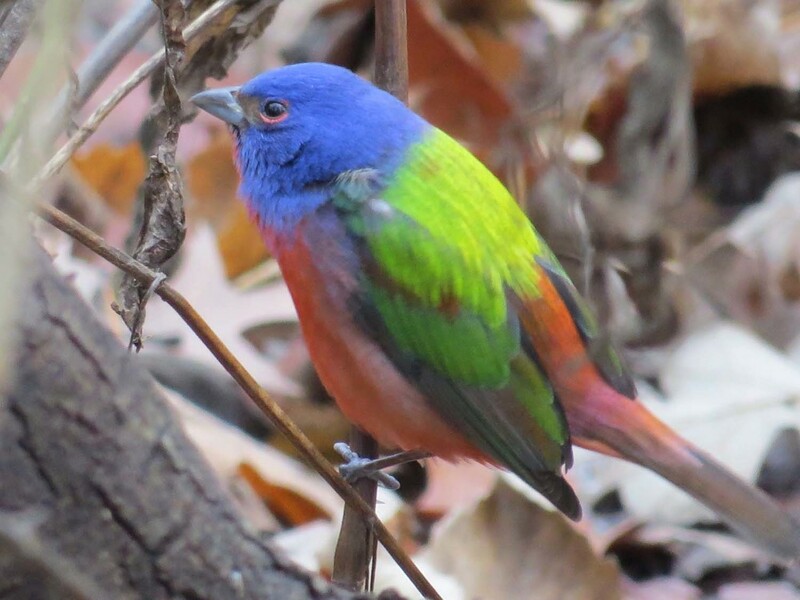 In November and December 2015, New York birders were treated to the temporary residency of a painted bunting in Prospect Park in Brooklyn. This is such a beautiful bird, and I was fortunate to see it on Nov. 30, Dec. 4 and Dec. 30. This shot is from Dec. 30. I posted two videos about the bird, including my most watched Silly Video, The Painted Bunting in Prospect Park. 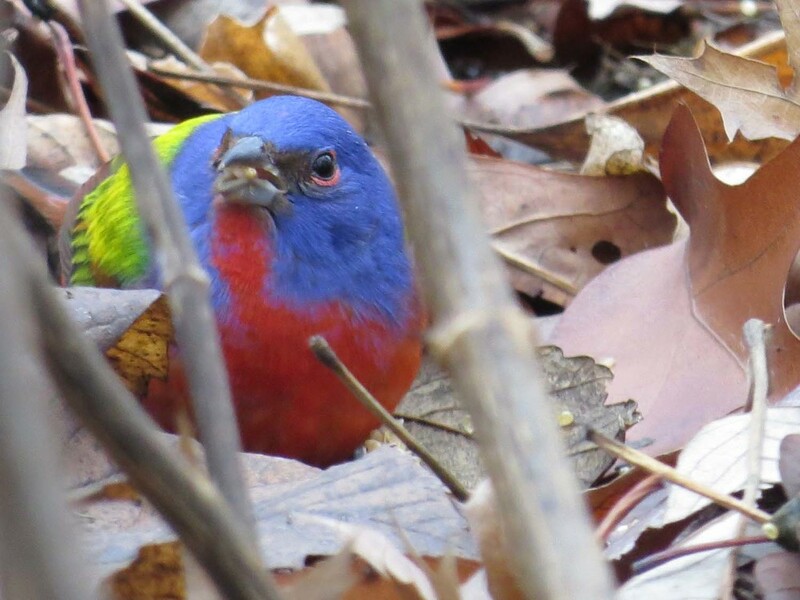 It was followed by The Painted Bunting in Prospect Park: Another Look. 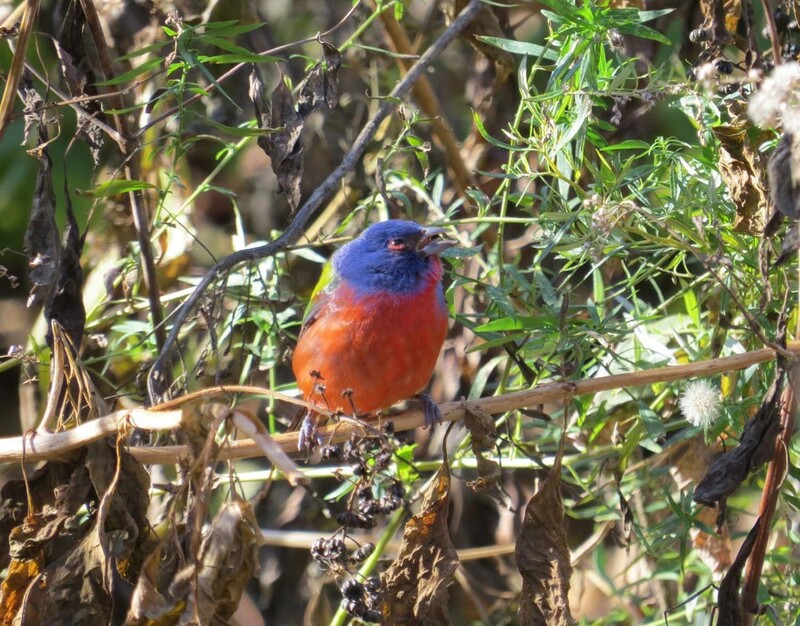 I'm including eleven photos of the painted bunting on this page. Not all are great, but they do give a nice sense of the beauty of this bird. He tended to work the same bushes for seeds, and often was really buried under foliage. But he was always worth waiting for a sighting. The photo on the left was my first view, on Nov. 30, before a woman pushed me out of the way so she could see it. On the right, a little better chance to see the bird on Dec. 4. The next photo is from Dec. 4, 2015. The following photos, from Dec. 30, 20915.